Looking to dust off those handbells in the music closet and start a handbell choir this year? First of all, check out this helpful resource from Reformed Worship - lots of practical information for getting started, recruiting, and choosing repertoire. In today's post, I thought it might be helpful to share a round-up of free music resources. These sites offer a variety of arrangements for bell choirs - some for a small number of bells, others for as many as 5 octaves, some with piano/organ accompaniment, others with instrumental parts. Whether you play them in worship or use them for extra reading practice in rehearsals, you can't beat free! One quick note: Because these are free arrangements, the engraving (the way the music is notated in the score) for some may not be as professional as something you buy from a publisher. If this doesn't bother you, or if you can work with it, by all means. Just wanted to mention it. Other arrangements include Jesus Loves Me for handbells and piano and O Come, All Ye Faithful. I shared a free acclamation/processional that SD wrote for our bell choir a few years ago. Download it here. There are a few handbell arrangements available on ScoreExchange, notably Ave Maria and Intrada: Ein Feste Burg. Looking for more music suggestions? See this post. 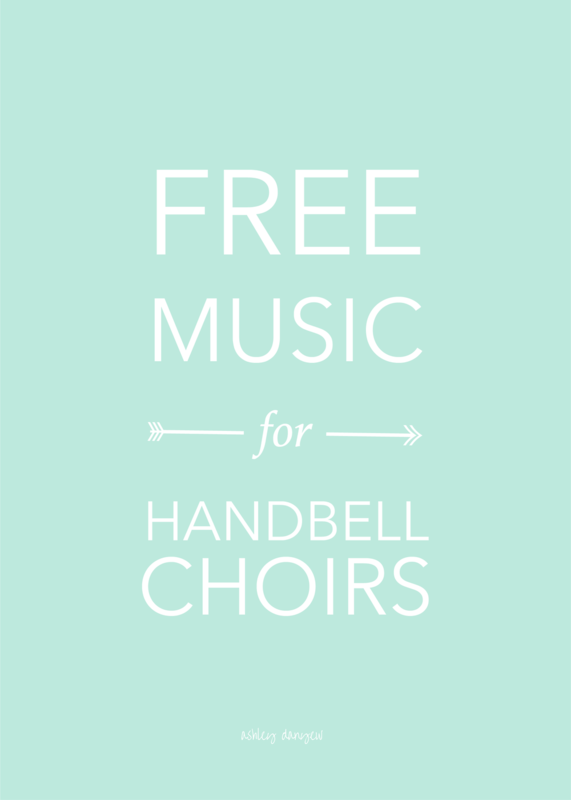 Adventures in Bell Ringing: Free Handbell Acclamation!